LIU Yun, TAN XiuCheng, LIU XianYan, HE Wei, XIONG Ying, LIU Ling, LIU MingJie, YANG QingYu. 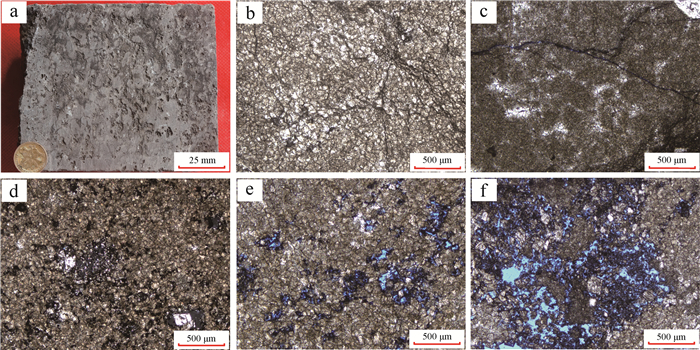 Sedimentary Characteristics and Distribution of Grain Shoals of Ma57 Sub-member in the Central Ordos Basin[J]. ACTA SEDIMENTOLOGICA SINCA, 2018, 36(4): 796-806. 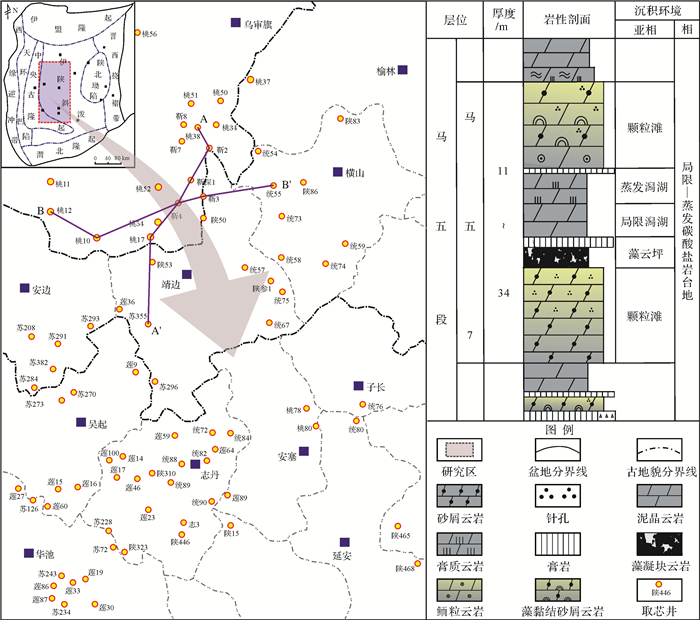 Abstract: Plentiful oil and gas resources are contained in the Majiagou Formation of Ordovician system in the northeastern Ordos Basin, particully the recent oil and gas exploration has made important breakthroughs in the subsalt of carbonate rocks of Ma57 sub-member as the main reservoir. 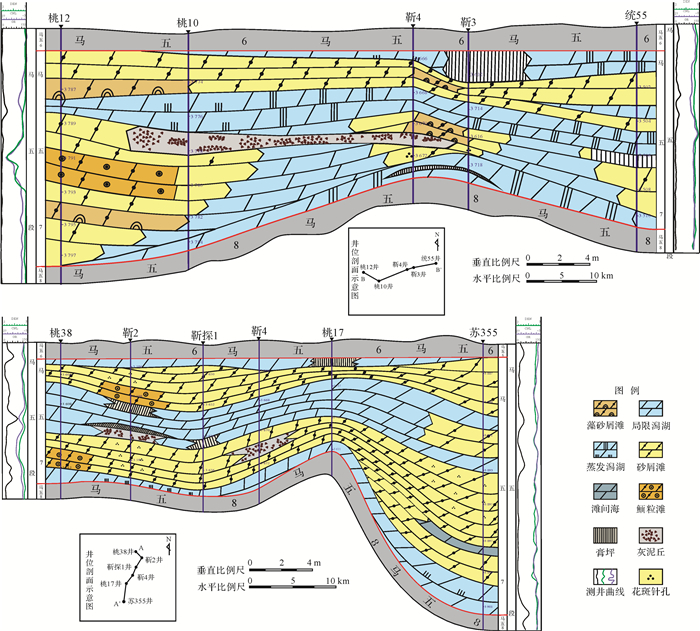 Based on wells drilling data, logging, drilling cores, thin section and other related information, the Ma57 sub-member of Ordovician system in the central Ordos Basin has been comprehensively analyzed for sedimentary characteristics of the grain banks and their vertical and lateral distribution patterns, in oder to search for the paleogeography for sedimentary patterns as well as the controlling factors on the development of grain banks in the study area. The grain banks of Ma57 sub-member are mainly consisted of fine crystal grain dolostone and other kinds of grain dolostone. 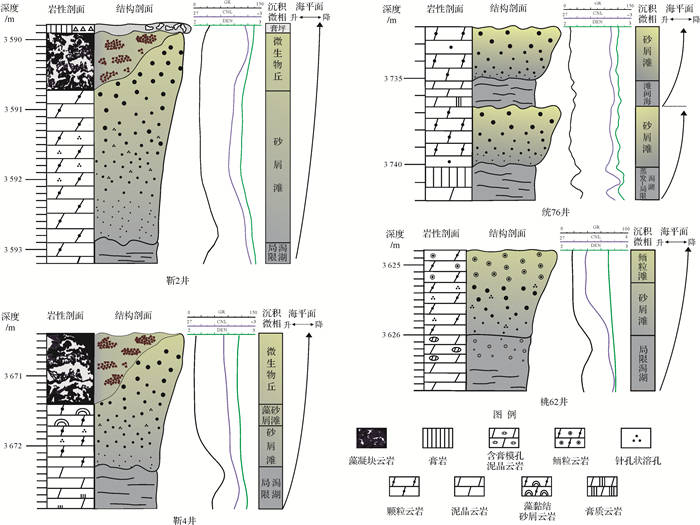 Three types of upward sedimentary sequences were developed including lagoon-grain bank-mounds-platform inner flat, lagoon-grain bank-interact bank sea-grain bank and lagoon-grain bank-mounds. The grain bank formed at the upper part with upward shallowing cycle and became mound-shoal complex with microbes for the most time, showing important reservoir significance. In the lateral direction, the Ma57 sub-member had developed two larger grain bank layers with stable location and quite good continuity, being the east thick and midwest thin for the overall performance characteristics, and for the plane performance characteristics on north-south direction and circularly distribution along eastern depression. Further analysis considering the sedimentary regular patterns indicated the Ma57 sub-member was relatively lacked with tidal flat face, thus the suspected restricted-evaporate platform was much more reasonable. The frequently changed sea levels in depositional stage controlled the development scale of grain bank and its placed order, as well as the ancient tectonic framework with lower west and higher east and its inner micro-topography fluctuation might influence the plane distribution of grain bank of Ma57 sub-member. Cantrell D L. Cortical fabrics of Upper Jurassic ooids, Arab Formation, Saudi Arabia:implications for original carbonate mineralogy[J]. 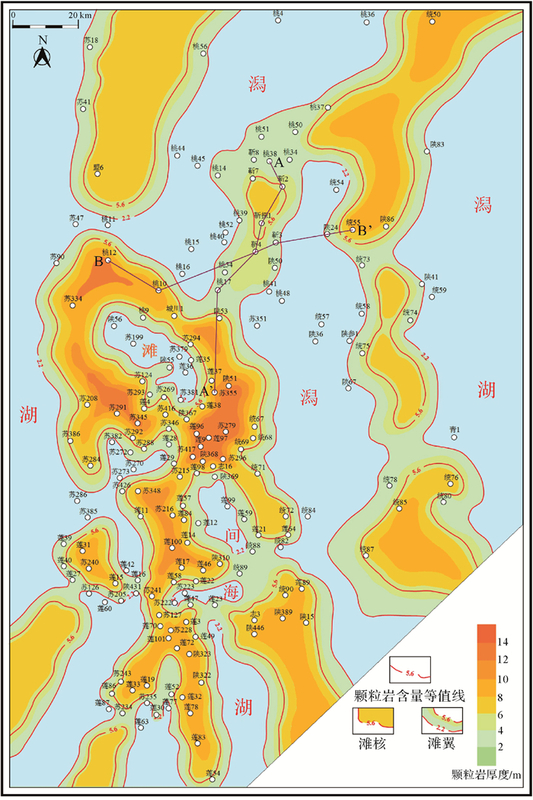 Sedimentary Geology, 2006, 186(3/4): 157-170.